Thirty-eight people have died from the H1N1 virus in Egypt since December, the health ministry announced on Sunday. Health ministry spokesperson Dr Ahmed Kamel said 318 people had been diagnosed with the virus, commonly known as swine flu, in the same period. Last week the ministry announced 195 cases and 24 deaths. Eighty percent of those who died were suffering from one or more pre-existing risk factors, the ministry added. Kamel said a sample is taken from suspected cases and sent to health ministry laboratories and the World Health Organisation (WHO) for analysis. The health ministry will be issuing statements on the situation each Saturday and Tuesday. 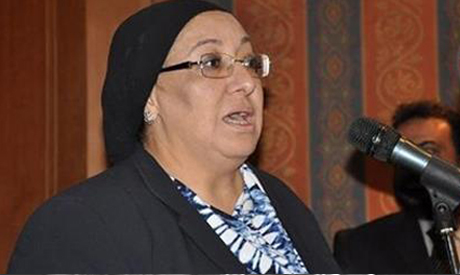 Since December 2013 there have been 339,483 cases of influenza and 1,376 cases of respiratory diseases in Egypt, according to the ministry. The death of four doctors over the past month--including at least two from respiratory illnesses--and the infection of two others with similar symptoms, has alarmed the doctors syndicate. It asked the ministry to form an independent fact-finding committee to determine whether the cause was swine flu, a mutated version of the disease, or another virus. The ministry said the four doctors who died did not have the H1N1 virus, but the two others did. Most of the deaths have been of people in vulnerable groups: the elderly, pregnant women, or those with pre-existing immune or respiratory diseases. Doctors have accused the health ministry of denying the scale of the problem for too long and of failing to implement a proper screening process, which brings its figures into doubt. The ministry says those with various risk factors: the elderly, pregnant women , or those with immune or respiratory diseases must take care and should visit a doctor if they have a high fever, sore throat and cough for more than 48 hours. Swine flu is a relatively new strain of influenza that was responsible for a flu pandemic during 2009-2010. Why is it called an epidemic? If these people are in Egypt and I'm in America how is it only a pandemic ? Confusing might you say. And is it possible that someone can be a healthy carrier. Like Typhoid Mary, she was a healthy carrier spreading typhoid across New York. I may only be a student at a middle school but wouldn't it be a pandemic? I can swear to this. It is known to attract flu virus. shame, shame, shame. What to do to prevent the spread of flu? Start acting as a clean Muslim.